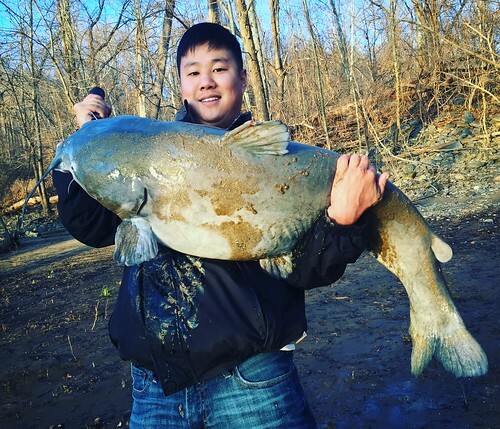 Any angler fishing legally in Maryland may catch and report a trophy sized fish by landing any of more than 60 eligible species in five categories (Atlantic Coast, Chesapeake Bay, Nontidal, Catch and Release and Invasive) at or above a certain minimum size. You can submit your catch by following the directions below or learn more about the FishMaryland program. A photo is required in order to qualify for a certificate. 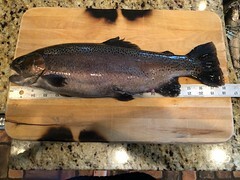 Measure the length of your catch in inches (see illustration) and take a photo of it on the measuring device as shown. Make sure the fish meets the minimum eligibility size for the species you caught. When taking a picture with your cell phone, hold the phone horizontally (landscape), not vertically. Fill out a registration for your catch (you will be required to email in your photo during the process). If you have any further questions on this procedure or status of your certificate, please send an email to Erik.Zlokovitz@maryland.gov. We typically reply to emails within 72 business hours. Please allow more time around holidays.